Hub City Contracting Services of Saskatoon has a wide range of capabilities and contracting work available for your next project. No matter the size or scale, our team of experienced contractors can do it all! Read through our services below, and if you require any or all of them, please give us a call today. Asbestos can be harmful to your respiratory health due to the small fibres that come unattached from the rest of the material. Asbestos can be used in flame retardant materials, insulation, popcorn ceilings, and many other applications. Inhalation of the fibres can hurt your lungs and overall health. 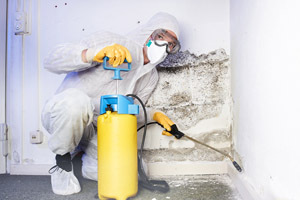 Our abatement services for asbestos include complete removal of the defective systems. The area in which it is located must be completely sealed off, and those who work or live in the building will need to be relocated until the issue is cleared up. We will collect, contain, and remove the asbestos with a specialized vacuum cleaner that is designed to safely and effectively dispose of the harmful material. If you require any of these services, be sure to give Hub City Contracting Services a call right away! The longer you wait, the more the issue may worsen. 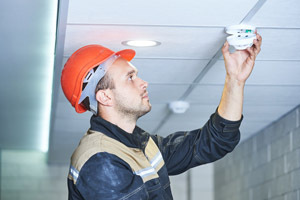 Contact the professionals and we will get your spaces back to safe, working order in no time. If you’re struggling with a mold issue, consider giving Hub City Contracting Services a phone call for comprehensive mold remediation. These services include a full inspection and assessment of your property in order to determine an effective plan to restore cleanliness of your spaces. Mold can be dangerous and tough to remove on your own. It is best left to the professionals. Hub City Contracting Services has the team, training, and equipment you need for complete mold remediation. We will restore your property after finding and resolving the water source that created the initial mold issue. This might include a leaky toilet or other plumbing, roof, or cracks in the foundation where rainwater and condensation can pool. If the indoor area is at risk to any degree of dampness, it can grow mold that may be harmful to your health. Give us a call at the first sight or sense of mold troubles in your home or business to control and remove the mold as soon as possible. Fire proofing is a crucial aspect of protecting your home or business. Our fire proofing services include installation, management, and replacement of any existing systems. The materials we provide are of the highest quality; we incorporate fire retardant sprays and intumescent coatings in spaces that need it the most. Our team works hard to ensure each and every fire risk is considered, meaning loss of property and even life is kept to a minimum. We make sure your building is entirely fire proof in the basement, attic, crawl spaces, near a fireplace or chimney, and garage, as well as many other places that may be in harm’s way. These applications can adhere to a number of materials such as textiles, interior/exterior wood, steel, insulation (traditional and spray foam), and so much more. Whatever area you need fire proofed, Hub City Contracting Services is here to help! The presence of lead paint can be incredibly dangerous to those that occupy the space in which it is located. Hub City Contracting Services offers inspection, assessment, and full removal of lead paint. We are also available to assist you with managing lead paint and other hazards. 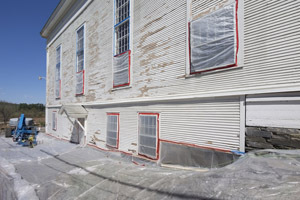 Our lead paint removal services professionally remove and contain the lead-based paint from any surface, making sure no trace is left behind or transferred to other surroundings. This is a tedious, crucial process that will help keep your environment safe and free of major health risks. We are dedicated to ensuring you, your family, pets, guests, and employees are safe. These services are available for both residential and commercial applications.